"Mohawk sells floor covering and textiles for every room in the home and for every commercial application. Hardwood flooring, laminate flooring, ceramic tile flooring, stone and marble flooring and, via an exclusive distribution agreement with Congoleum, vinyl sheet flooring are among the newest Mohawk product offerings. What’s more, the company now offers woven bedspreads, tapestries, pillows, throws and window blinds. Mohawk products are found in major retailers across the country and the world. From Home Depot to Bloomingdales, from Lowe’s to Macy’s, from Target and Wal-Mart to specialty boutiques in large cities and small towns. Mohawk is making the world a more beautiful place." You can read Miss Frugal Mommy’s review to discover more about Mohawk area rugs! Now for the exciting part! 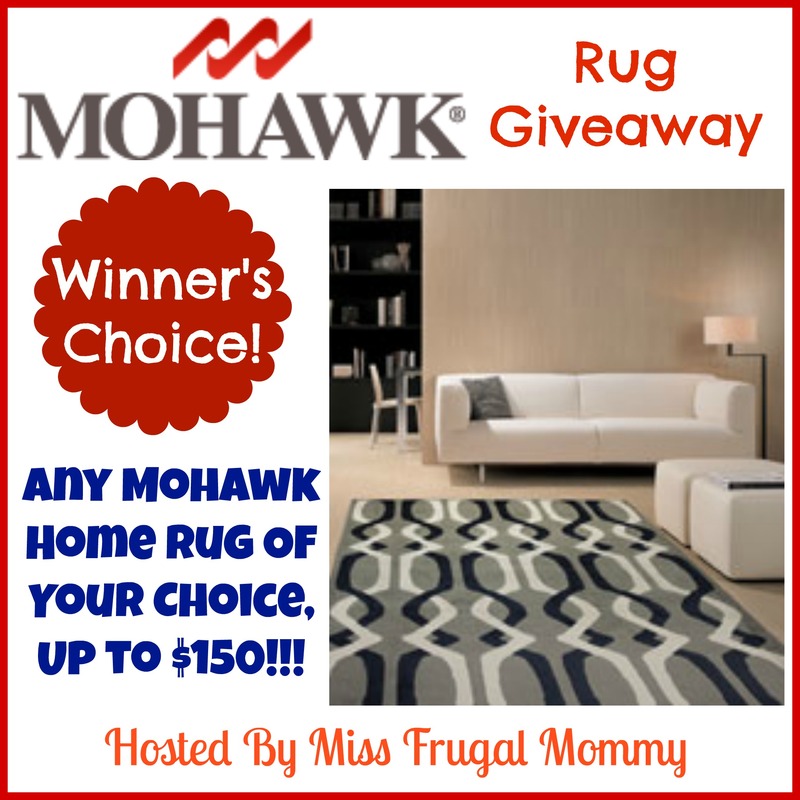 One lucky fan is going to win a Mohawk Home rug of their choice, up to size 5x8 and under $150. This giveaway is open to US residents 18 and older. Enter to win in the rafflecopter below, all entries will be verified, one entrant per household or you will immediately be disqualified. Winner will be contacted via email and has 48 hours to respond before a new winner is chosen. Good Luck!! !